With One-Click Link & Meeting Series, you create 1 "smart link" that has the ability to book 1 meeting, a reoccurring set of meetings, or a custom set of meetings based on the times/dates to your choosing. Send thru your email marketing or sales automation tool for a simple scheduling process for prospects and customers alike. Once booked, all data logged in Salesforce for tracking along with custom reminders that can be built for each meeting within the series. 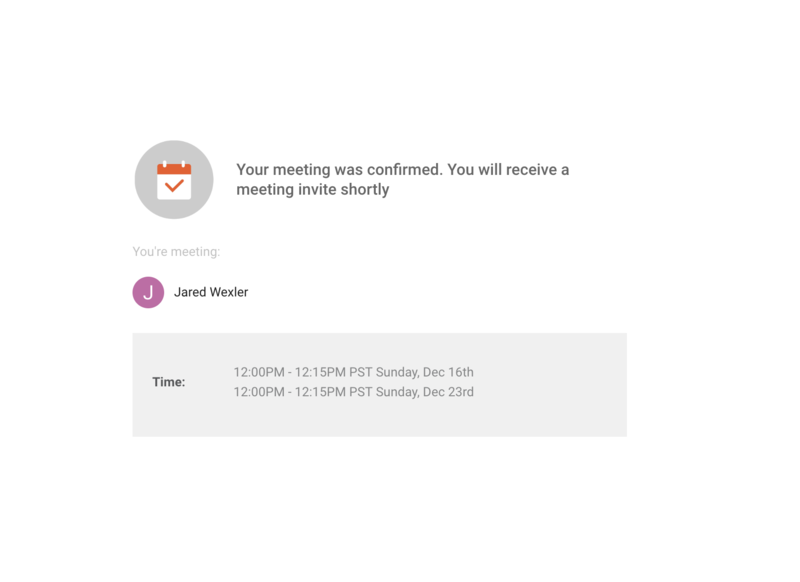 The ability to configure these meeting settings allows users to schedule various types of meetings both easily and effectively. Customer clicks the URL and instantly books all meetings tied to the Meeting Series URL. The meeting(s) are then added to both the customer's and the rep's calendar. Identify customers through the use of smart booking parameters, generated automatically once selecting your Mail Automation tool.